A minefield of sublime talents all across the pitch – from the uber-stylish Paul Pogba to the ever efficient Antoine Griezmann, from Los Galactico Raphael Varane to the indisputable midfield genius N’Golo Kante, yet it is the humble lad from one of the poorer suburbs of Bondy who has emerged as France’s true talisman in their victorious FIFA World Cup campaign. Following their Euro 2016 campaign when they came within touching distance of becoming continental champions, France were one of the contenders for going the distance in Russia but their pulsating win over Argentina in the Round of 16 established them as favourites for the title win. Having laid the groundwork for six years, Didier Deschamps finally converted his pragmatic blueprint into a success story. France possessed an embarrassment of riches when it came to attacking talent in their ranks, yet adopted a conservative approach to locking down the tournament, playing with a dogmatic tenacity which was missing two years ago. 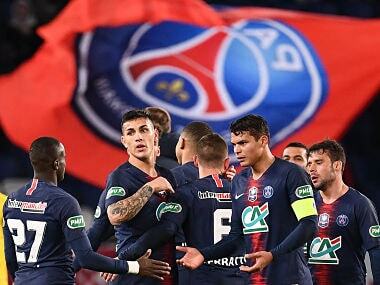 Amidst all their resolute rear-guard action and disciplined midfield displays, Deschamps afforded one player complete freedom to cavort about the pitch and it was none other than the 19-year-old Kylian Mbappe. 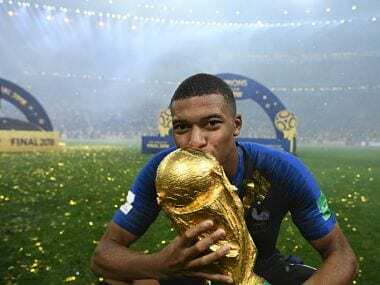 Nicknamed Donatello by his Paris Saint-Germain teammates, Mbappe had already equalled Pele’s record when his brace against Argentina helped France through to the quarter-finals, but he showcased an even more nuanced display against Croatia in the finals – creating France’s third and scoring their fourth of the night. That Mbappe is already an elite forward is a well-established fact; after all, the youngster has already led two different sides to Ligue 1 titles in successive seasons. 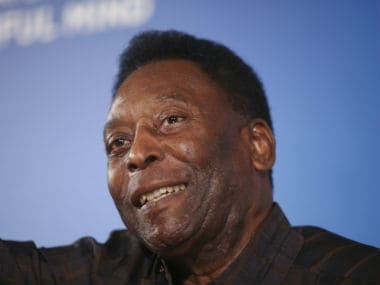 The manner in which he lived up to his price tag for Paris Saint-Germain surprised many, but that same self-belief and supreme confidence in his own abilities was on exhibition in Russia – his boldness enhancing his brilliance. “I don’t like comparing players – Mbappe has to become Mbappe and that is all. But my word, he is good. Ooh la la! 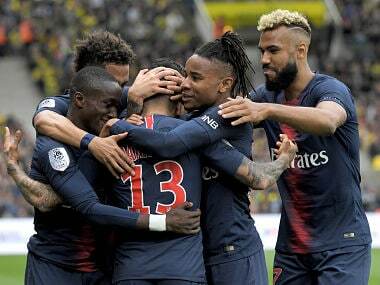 l really like watching him play,” Thierry Henry once said about the teenage sensation and it would be fair to assume that Mbappe has already built a reputation for himself. Nonpareil players are everywhere, generational talents are rare – ever since Lionel Messi and Cristiano Ronaldo stepped into their 30s, the question which has sprung in everyone’s mind is who will be taking the mantle of grandeur from those two. There have been a few contenders like Neymar, Ousmane Dembele and Eden Hazard but Mbappe is the only one who has managed to shatter the glass ceiling in the truest sense. A modern centre-forward by all means, contrary to popular belief, Mbappe is not simply a pace merchant who skips past defenders to finish with precision. Instead, the Frenchman’s footballing intelligence is beyond his years, for not only is he an excellent reader of the game, but also has quick decision-making skills. Against Croatia, Pogba had orchestrated the attack which led to France’s third goal, finding Mbappe with an exquisite long ball, but the young forward’s maturity in releasing the ball into a crowded penalty area to keep the goalscoring chance alive was equally significant. Mbappe had started on the right flank against Croatia but drove through the inside channel as the match progressed. He was finally rewarded for his perseverance with a stunning goal from outside the eighteen-yard box – France’s final one for the night. His goal would definitely make the highlight reel, but it was his movement during a saved effort by Danijel Subasic which underlined his technical prowess. At the onset of the second half, when Croatia had switched on their steamroller mode to get back into the game, Mbappe cleverly ran behind the Croatian defence, outmuscling Domagoj Vida to seize a long ball and registered a decent shot even though he was off-balance. Subasic’s excellent keeping had ruined the chance for France, but Mbappe had already arrived to the party. “For a long time, I’ve thought that Mbappe must be the forward for France. It’s sure because it’s his best position. He can play well on the right or the left, but the boy is a centre forward and must be France’s spearhead for the next ten or fifteen years. He’s a No 9. He’s our Michel Platini, our Zinedine Zidane. He’s the player for our future. 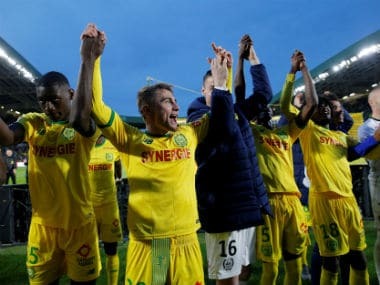 So he must be allowed to learn and mature in this position,” former France footballer Christophe Dugarry had opined sometime back. Mbappe, it seems, has already matured and unlike Messi or Cristiano Ronaldo, will not have to answer the question of whether he is capable of winning the biggest prize in world football. Following the glorious first decade of the twenty-first century when the likes of Ronaldo de Lima, Raul Gonzalez and Ruud van Nistelrooy pranced around the attacking-third with swan-like fluidity and hawk-like precision, the game has been devoid of centre forwards who have terrorised defenders irrespective of tactical system or opposition, for both his club and his country. Mbappe, cruising at the centre of the beau monde with the world at his feet, is poised to captivate football enthusiasts for years to come, for the sky is the only limit for this stellar striker with a penchant for colossal performances.